Like the Deputies appointed to protect the civil rights of Protestant Dissenters, the Spanish and Portuguese Jewry, who had taken refuge in England, periodically nominated deputados to keep the Jewish community aware of the political developments, which could affect Jewish interests. Therefore, when George III ascended to the throne, a standing committee was formed to express loyalty to the new king, while keeping a close eye on political changes. However, the Ashkenazi sect–those of Judaeo-German extraction–lodged a formal protest, expressing their fear of neglect. They nominated the German Secret Committee for Public Affairs to serve their particular interests. Eventually, the King’s government insisted that the Deputados regularly communicate with the Committee of the Dutch Jews’ Synagogues. This joint venture formed the basis for the London Committee of Deputies of British Jews, which is commonly referred to as the Board of Deputies in present day UK. During the 19th Century, these deputies retained substantial importance and even earned statutory recognition. Jews held high offices in English Lodges (Freemasonry) as early on as 1732. Their presence assisted in shaping a change in sentiment among the British populace. The process of assimilation brought English into the public school curriculum of Sephardic Jews. Sermons appeared in English translations. Even the publication of the Jewish prayer book into English occurred in 1770. Yet, the foreign character of the community was maintained by the constant influx of new arrivals, those who had escaped the wars in central Europe, expulsion from Bohemia, massacres in Poland, etc. Eventually, this population of peddlers spread out across England, bringing “treasures” (buckles, buttons, lace, tobacco, cutlery, toys, etc.) to the isolated rural population. Jews of the organized provincial centers, market towns, and seaports aligned with one of the London conventiclers, generally the Great Synagogue. Large Jewish communities could be found in Portsmouth (established 1747), King’s Lynn (1747), Bristol (1754), Plymouth (1740), Canterbury (1760), Liverpool (1750), Exeter (1763), Falmouth (1766), Manchester (1770), Birmingham (1770), Chatham (1780), Sheffield (1790), Ipswich (1792), and Bedford (1803). At the height of the expansion, the Ashkenazim community was hampered by the steady flow of poor Jews, who were often of a criminal element. A series of crimes, culminating in a brutal murder in Chelsea, caused the community to disassociate itself from the malefactors. Regina’s new book will be available the end of October. Here’s a sneak peak. The REALM has returned to England to claim the titles they left behind. Each man holds to the fleeting dream of finally knowing love and home, but first he must face his old enemy Shaheed Mir, a Baloch warlord, who believes one of the group has stolen a fist-sized emerald. Mir will have the emerald’s return or will exact his bloody revenge..
Aristotle Pennington has groomed SIR CARTER LOWERY as his successor as the Realm’s leader, and Carter has thought of little else for years. He has handcrafted his life, filled it with duties and responsibilities, and eventually, he will choose a marriage of convenience to bolster his career; yet, Lucinda Warren is a temptation he cannot resist. Every time he touches her, he recognizes his mistake because his desire for her is not easily quenched. To complicate matters, it was Mrs. Warren’s father, Colonel Roderick Rightnour, whom Sir Carter replaced at the Battle of Waterloo, an action which had named Carter a national hero and her father a failure as a military strategist. LUCINDA WARREN’s late husband has left her to tend to a child belonging to another woman and has drowned her in multiple scandals. Her only hope to discover the boy’s true parentage and to remove her name from the lips of the ton’s censors is Sir Carter Lowery, a man who causes her body to course with awareness, as if he had etched his name upon her soul. Fate cruel twists have thrown them together three times, and Lucinda prays to hold off her cry for completion long enough to deny her heart and to release Sir Carter to his future: A future to which she will never belong. Matthew Warren had instructed his first wife to send their child to his second wife if something, Heaven forbid, happened to both of them during the war. The problem: Captain Warren had married Lucinda Rightnour, the girl to whom he had been betrothed since childhood, while still married to Sadia Cotto. In this scene, Lucinda and her uncle, the Earl of Charleton, negotiate for the Simon Warren’s future with Sadia’s parents. “And what is your occupation?” Lucinda asked when no one else spoke. She did not wish to place Simon with a family who could not support the boy. Simon had thrived over the last month with no more bare meals. Lucinda knew little of thoroughbreds–had only even considered their value to the aristocracy after having the acquaintance of the Hellsmans. Lady Arabella had explained how men saw their horses as an extension of their personalities. An aristocrat setting astride his thoroughbred declared to the world his lineage equaled that of the animal. She could understand how a man accustomed to training such animals could find work scarce as the animals themselves, especially if the man was a Jew. Unfortunately, Cotto’s explanation did not ease Lucinda’s qualms. “Would you please explain how you believe you hold a connection to the boy my niece has made her ward?” Charleton’s expression showed none of the emotions Lucinda’s did. 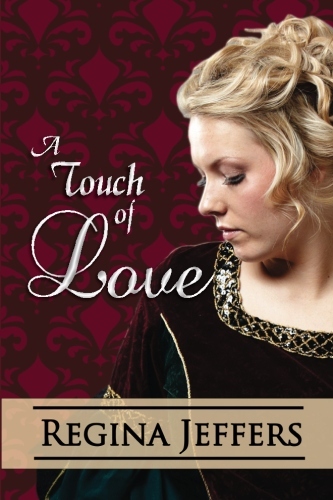 “Because the gentleman was an English military officer?” Lucinda asked indignantly. Why she felt any allegiance to Matthew Warren, she could not explain. Perhaps it was the fact Lucinda had never considered the possibility others would object to an English gentleman. Lucinda’s lips trembled. She struggled to hide how much pain coursed through her chest. She had come to accept Captain Warren’s betrayal as being the man’s great love for another woman, but this was another layer of deceit. She had the acquaintance of Matthew Warren her entire life, but she had never really known the man to which she had been betrothed. “Long after he, obviously, spoke his vows to our daughter before a rabbi,” Cotto declared. Lucinda had trusted Matthew Warren unconditionally. She had bought into the fairy tale, and now all her walls had crumbled to dust. Although she thought it impossible, Lucinda felt pity for Sadia Warren. The woman’s parents had turned their backs on their only child. She could hear the bitterness in the earl’s tone when he asked, “You did not rush to your daughter’s side when you discovered Captain Warren’s desertion?” She knew Charleton had searched for her after the colonel’s death, and he had welcomed her despite Lucinda’s many faults. It was a sobering reality. “No, Ma’am.” Mrs. Cotto wiped her eyes with a small handkerchief. Another long, uncomfortable pause followed. “Yet, you had sought the boy?” Lucinda searched for a flicker of hope in the Cottos’ tale. “We were too late,” Cotto admitted without emotion. “Sadia had sent the child away, leaving no record of where he might be. However, our daughter did leave an account of her husband’s activities. Neither Sadia or Mr. Warren acted honorably, as such, we feared retribution and fled our home.” Lucinda noted Mr. Cotto’s expression of anticipation. The man thought his tale would spark the earl’s interest. Little did Cotto realize the earl would never pay to hush information, which would soon become public record. Regina Jeffers is the author of several Austen-inspired novels, including Darcy’s Passions, Darcy’s Temptation, Vampire Darcy’s Desire, Captain Wentworth’s Persuasion, The Phantom of Pemberley, Christmas at Pemberley, The Disappearance of Georgiana Darcy, and The Mysterious Death of Mr. Darcy. She also writes Regency romances: The Scandal of Lady Eleanor, A Touch of Velvet, A Touch of Cashémere, A Touch of Grace, and The First Wives’ Club. A Time Warner Star Teacher and Martha Holden Jennings Scholar, Jeffers often serves as a consultant in language arts and media literacy. 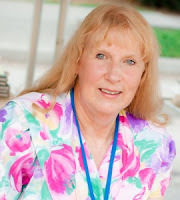 Currently living outside Charlotte, North Carolina, she spends her time with her writing, gardening, and her adorable grandson. « Happy (Belated) Birthday, Teatime Romance! Great post Regina! I look forward to reading this. I too am interested in this subject and have that wonderful resource book, “The Jews of Georgian England” by Todd Endelman. For all of their grudging acceptance in the business community, there was still tremendous prejudice against Jews. I always found it interesting that it was Cromwell who allowed for the re settling of the Jewish population in England, although the theory is that he most likely used their business acumen as a way to strengthen England. Nancy, thank you for the kind comments. I appreciate your support. As a point of reference, I also found “Profiles in Diversity: Jews in a Changing Europe 1750-1870” very helpful. It is by Frances Malino and David Sorkin. One point which struck me as poignant was the fact that as a practicing Catholic, I would have had less religious “freedom” than the Jews in Regency England. Because of the Holocaust, the general public often think the Jews possessed NO religious freedom. I love learning about new research books that I must get from the library. Thanks for these pointers, Regina (and Nancy!). And the excerpt? Fabulous! I can’t wait to read this. Jennelle, thank you for joining us today. The book should have been released by now, but with the US government shut down, I have been waiting for a Library of Congress catalog number so the interior might be set. Keep watching for promo posts from me. I will be giving away loads of copies over the next 3 weeks. Really interesting. I love learning new things. Looking forward to reading the book. Hello, Sandy. Thanks for joining us today. We need to do a book signing together again soon and catch up on gossip.